Dragon Gate teaches a living art that both develops the practitioner as an individual and grows with the practitioner. Solid in foundation but free in form, Dragon Gate is rooted in ancient principles of maximum effect with minimal effort. Dragon Gate Kungfu is a small family based martial arts academy. Instructors of the academy describe the style as a “living art,” that both helps develop the student as an individual and grows with the student as a practitioner. 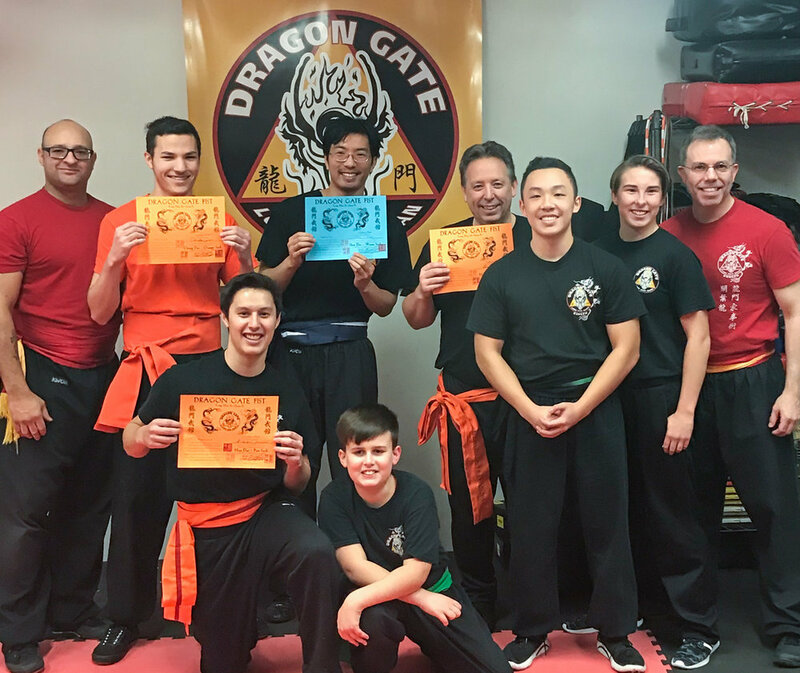 Long term students at the Dragon Gate will have access to Black level Rank on two Chinese martial arts. The family methods of Dragon Gate Fist Method (Long Men Quan Shu) and White Dragon Fist Method (Pai Lum Chuan Shu). Solid in traditional foundations but free in application. The Dragon Gate system is a comprehensive style combining internal and external methods from the north and south of china as well as aspects of other arts, such as Brazian Jiujitsu for ground defense, Kali for stick and knife skill, and more. Students learn animal and element aspects of Chinese martial arts, various weapons, the basics of ground fighting defense, situational awareness and very realistic defensive combat. Proper stances and postures are key to the execution of effective techniques, but beyond this the philosophy of Dragon Gate is one of freedom that allows for personal expression through the martial technique. This also contributes to the personal growth of the student as a martial artist and as an individual. From the very young students (or Little Dragons) starting at just 4 years old to adults through middle age. Helping the students to become free thinkers who can apply their experiences to many situations and find proper solutions is central to what makes Dragon Gate different. Classes are conducted in a friendly but challenging atmosphere and all students are treated with dignity and respect. Students at Dragon Gate are considered family and cared for by all members of the school.